So here in New England still a couple inches of snow on the ground not to mention it's frozen what else is there to do but find an old duty belt you haven't used in years clear the dust off it and repurpose it for metal detecting. I have belt keepers for it. It's actually much lighter than my duty belt lol. 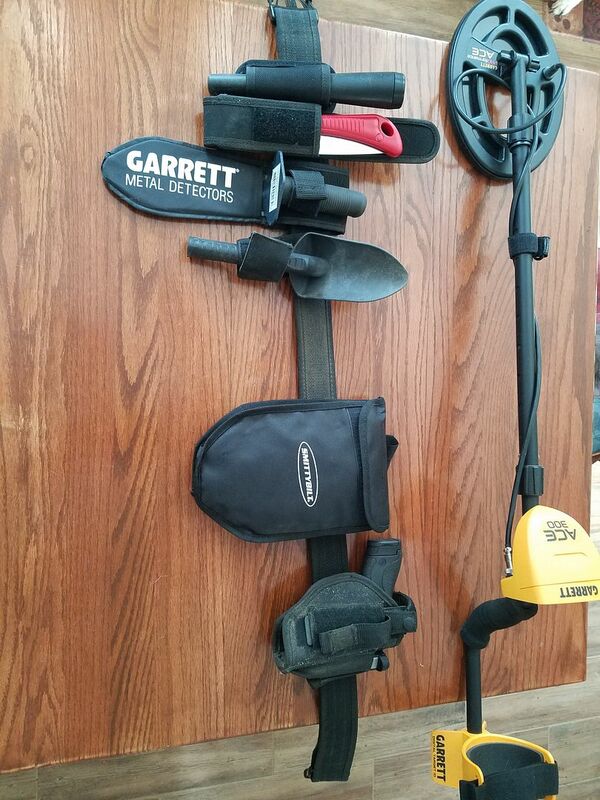 I have a separate finds pouch as well the smittybilt pouch has a collapsible shovel in it. As long as it does not have a tendency to drift south, I think you are onto a winner.. I made a simple sheath for my digger. It will fit most of my knives and allows the dirt to fall through. Simply two pieces of leather with a loop on the back. That's the sort of thing I was thinking of, but I will probably make it out of PVC or similar...I just need to source some rivets or Chicago screws to hold it together. That is a cool build! I think we had like 2 inches all winter. What type of pistol is that? I carried one, one time, recently. My holster is a solid plastic type that holds the gun high and it gets in the way of arm. That setup seems more out of the way yet accessible. I guess you aren't (or are) hunting curb strips carrying that? We're an open-carry state in NC. I just noticed I never replied to you. I carry an M&P Shield .40 Here in MA concealed is preferred however it is not a law that it has to be, just highly encouraged. If I am in are public area I usually carry concealed however when walking around in the woods to old cellar holes and such I will just wear this set up. I have been in LE for over 15 years so carrying is as normal to me as grabbing my cell phone.